Nando’s PERi-PERi, the South African-Portuguese restaurant known worldwide for its spicy flame-grilled chicken, is hatching in Rosslyn. The restaurant, at 1800 North Lynn Street in the Central Place complex, opens to the public on Monday March 12. The new Rosslyn location, Nando’s 41st restaurant in the U.S., features bold African colors and designs, including a striking portrait by self-taught Johannesburg artist Nqabutho Phakathi. Visitors are greeted by bright hand-knit light shades and a flowing, suspended wood ceiling. Nando’s will hold a charity Grand Opening for the new Rosslyn location in April, with appearances from star players with one of Washington’s top sports team. All proceeds will benefit a major area non-profit that serves local under-served youth. 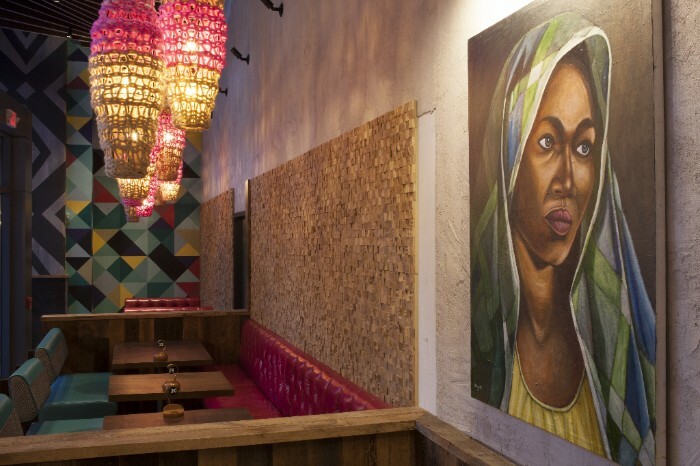 Nando’s new restaurant is located in North Rosslyn, on the same block as the Rosslyn Metro station and walking distance to the Key Bridge and Georgetown. The store entrance is on North Moore Street. The Rosslyn location will offer dine-in and extensive take-out service, ensuring that busy Rosslyn-area customers can take their flame-grilled PERi-PERi dishes wherever they go. * Regular store hours are 11 AM - 10 PM weekdays, and 11 AM - 11 PM on Fridays and Saturdays. Nando’s PERi-PERi made its U.S. debut in 2008 with the opening of its first location in the Chinatown neighborhood of Washington, DC. 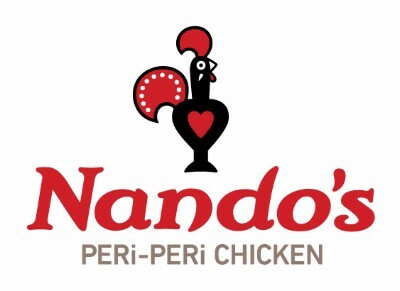 Nando’s PERi-PERi now operates 41 restaurants in and around Virginia, Maryland, Washington and Chicago. For more information, please visit www.nandosperiperi.com, follow @NandosUSA on Twitter, Like Us at Nando’s PERi-PERi USA on Facebook, and follow nandosusa on Instagram.